The Les Nouvelles Esthetiques Spa Awards Gala Dinner evening was filled with excitement and glamour as some of the industries most respected and well-known names and media came together to acknowledge their peers. In keeping with the Indian theme, bollywood dancers, d�cor, an traditional taste extravanganza buffet, followed by energetic entertainment from Funeka and Si-Anne, guest were kept enthralled throughout the evening. 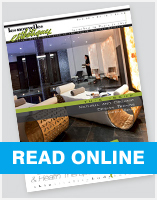 �Spas offer a precious refuge from a frenzied lifestyle. A time and place to relax and disconnect from the world as you recharge your mind, body and spirit, and an opportunity to bring your physical, mental, emotional and spiritual selves back into alignment. In whatever amount of time one can afford, spas provide peace, relaxation and guidance to help create a healthier lifestyle.� Dr Nadine de Freitas, Managing Editor, Les Nouvelles Esthetiques, South Africa. The Les Nouvelles Esthetiques Spa Awards Day Spa Category Finalists were: The Spa at Melrose - a luxurious haven of calm in the midst of one of Johannesburg�s most upmarket shopping, residential and business complexes, Melrose Arch. Their mission is to be one of South Africa�s leading boutique spas; an oasis for the busy city-dweller and to create an environment that exceeds guests� expectations. Shambala Wellness Spa, Walmer Port Elizabeth. Meaning a Place of Peace, Tranquillity and Happiness in Tibetan Buddhist lore, Shambala is a mystical land, hidden in the snowy peaks of the Himalayas, a society where people labour constantly for the good of humanity - this perfectly expresses the spas ethos of lifting spirits, creating pleasure, and a true sanctuary in the middle of the city. Spa Royale is a little gem tucked away in peaceful surroundings in Umhlanga. This best kept secret is dedicated to restoring CHI (balance) and well � being through individual Spa journeys and an extensive variety of health and beauty enhancing treatments. The winner of the Day Spa Category was Camelot Spa at Eagle Canyon, Johannesburg. Upon entering the spa guests are captivated by a sense of calmness, continuity and peaceful abundance. The Asian d�cor boasts clean, contemporary lines of geometric whites & grays and features a central pond of stepping stones, over-hung by a reflective swing. The spa�s luxurious facilities include eight treatment rooms (two are dual rooms and one of which is a Presidential Suite complete with en suite Vitality Pool), innovative dry Floatation Bed, sauna and a Rasul chamber and the Relaxation Room featuring a central water ball presenting a metaphor for the continuity of abundance. The Les Nouvelles Esthetiques Spa Awards Hotel Spa Category Finalists were Pezula Spa & Gym in Knysna: World class amenities and personalized service create unforgettable experiences at Pezula Spa. Guests can experience a calm sanctuary that reflects the soul of Africa with its natural elements and textures at the opulent Pezula Spa. Their philosophy is to amplify Nature's gifts while using the very latest technologies and treatments to inspire a lasting beneficial effect on guests� body, mind and spirit. Africology Spa at the Boardwalk Hotel in Summerstrand, Port Elizabeth, opened in December 2012 with an intention to assist guests to re-balance, re-group and function at optimum levels. The spa offers an extensive array of hydrotherapies and oxygen treatments which stimulates blood flow and has a calming and purifying effect. Mount Grace Country House & Spa in the Magaliesberg offers an oasis of tranquillity with18 pristine, spacious treatments The legendary Hydrotherapy Spa Garden with hot and cold pools are surrounded by exquisite tranquil gardens. Waterfalls add to the therapeutic healing effect of the sound of water together with an outdoor Jacuzzi and a state-of-the-art liquid sound flotation pool. Guests are encouraged to walk barefoot on the cobblestoned reflexology path to stimulate the pressure points and embrace the meditation points in the garden to help re-engage with their inner self. Special Mention: The Fairway Spa on the Randpark Golf Course, overlooking the putting green, is the ultimate five star relaxation station, just 15 minutes from Sandton City in Johannesburg offers 11 private treatment rooms, a wide variety of hydrotherapy offerings, a consultation lounge, eight seater pedicure station, caf� style bistro, rasul chamber, flotation tank, steam rooms, an eight seater Jacuzzi and outside swimming pool. The winner of the Hotel Spa Category was The Spa at The Oyster Box, Umhlanga. The Oyster Box Spa is tucked away amongst the lush indigenous gardens of one of Africa's most distinguished hotels. The combination of colonial charm, impeccable service, lush tropical gardens and breathtaking seaside setting has gained it a legendary reputation worldwide. Designed by the Red Carnation Hotel Collection, the hotel group awarded internationally for the world�s finest spas and spa experiences. The spa facilities include an extensive range of carefully crafted treatments, 6 treatment rooms, 4 sensational showers, 2 hydrotherapy baths, a well equipped private fitness club and two swimming pools. The Hammam offers guests the option of traditional Middle Eastern treatments. There are terraces within the lush tropical gardens for guests to relax after their treatments and enjoy exquisite spa cuisine. The Les Nouvelles Esthetiques Spa Awards Safari Spa Category Finalists were: DumaManzi Eco-Lodge & Spa, This sanctuary offers a Unique African Wilderness & Wellness experience, providing an affordable 5 star experience with an elegance and personal touch. A comfortable 1-hour drive from Durban lying on both sides of the Mkomazi River, Duma Manzi covers a 5000 hectare reserve, nestled in the forest valley. The tranquil surroundings include prolific birdlife and cascading river water. This extraordinary beautiful setting is the ideal retreat for those seeking privacy, exclusivity and absolute serenity. Emoya Spa, Bloemfontein. is situated on the western border of Bloemfontein, a region also known as "Big Sky Country". This 270 hectare Game and Nature Reserve is located in a pristine natural setting. The luxury day and night spa offers a unique experience of true African indulgence. Through the ritual of application, with the perfect touch of body and mind therapy, guests will experience an African atmosphere of balance and peace. The winner of the Safari Spa Category was the Amani Spa at Ivory Tree Game Lodge. The Amani Spa at Ivory Tree Game Lodge is the ultimate escape for pure self-indulgence. Situated in the crater of an ancient and long-extinct volcano within the Pilanesberg National Park, the exclusive Ivory Tree Game Lodge is surrounded by typical African bushveld; rolling grasslands and lightly wooded areas, with fabulous views. The spas wood and thatch treatment rooms are perched on stilts and are accessible via wooden walkways. Each room, with its subtle earthy theme, has uninterrupted views of the African bushveld where guests can enjoy holistic body, skin and beauty rituals. Amani's philosophy is to create the ultimate African Safari Spa experience that is pampering, unique and memorable, by creating an enchanting ambience of absolute tranquillity that reflects the soul of Africa with its natural elements & textures, a majestic treatment setting where every detail has been considered. 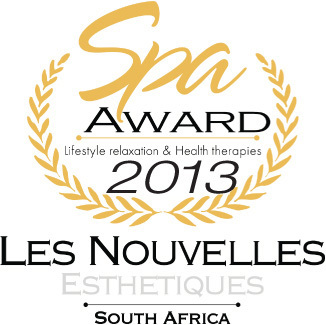 The Les Nouvelles Esthetiques Spa Awards Aesthetic Institutes/Medi Spas Category Finalists were: Vivacite Medical Spa in Pretoria under the guidance of Dr Riekie Smit. The premises feature a one-stop facility to rejuvenate, enhance health, relax or improve appearance alongside the medical centre involving 2 doctors (including aesthetic doctors) and 3 physiotherapists to assist patients in addressing health and cosmetic issues. Medi-Sculpt in Johannesburg, specializes in offering carefully selected non-surgical treatments, such as Botox, Dermal Fillers and various other non-invasive aesthetic treatments. Using state of the art equipment helps Dr Anushka Reddy and her team to more accurately assess and discuss clients� individual needs when they visit the clinic. Best Body Skin, Johannesburg under the guidance of Hardus Bester utilises the very latest technologies in aesthetic procedures, botox, skin peels, lip augmentation, non-surgical rhinoplasties, hair restoration, ultrasound lipolysis and more to revitalise clients� features for a more youthful appearance. The winner of the Aesthetic Institutes/Medi Spas Category was The Wembley Medi Spa in Cape Town. An exclusive upmarket day cosmetic centre, operated by professionally qualified medical doctors, physiotherapists and aestheticians. Focused solely on results driven therapies, The Wembley Clinic offers cutting edge cosmetic surgical procedures and medical management of aesthetic conditions with Botox, Derma-fillers and medical lasers. Some of the clinic�s exclusive flagship anti-aging treatments are on offer only at The Wembley Medi Spa and nowhere else in South Africa. The Wembley Medi Spa also offer facial and body treatments, such as Antioxidant Facials, Anti-Free Radical Treatments, the latest and most luxurious anti-ageing and every day spa therapies, including holistic grooming and beauty treatments. �We focus a large amount on the actual spas, however there are a number of individuals, as seen by the impressive list of nominees, who go above the call of duty and through their work the entire industry benefits. The Spa Recognition Awards, are a true reflection of the Spa Industry�s opinion, as individuals are nominated and voted for by the spa industry in their individual categories�, said Dr Nadine de Freitas. These Spa Recognition Awards include four categories, The Spa Ambassador Award, The Humanitarian Award, The Spa Visionary Award and the newly introduced Spa Management Excellence Award. The Spa Ambassador Award goes to a person who has made the industry proud and whose presence in the industry is noted internationally. The Spa Ambassador Award 2013 was awarded to Debbie Merdjan from Camelot Spas . Debbie Merdjan is CEO and founder of the Camelot Group - A group of companies encompassing health & skin care training through Camelot International, spa consultancy and a network of 17 Camelot Spas throughout Southern Africa. The group currently distributes products Thalgo, CSpa and Medi-Heel as well as SMsquared powered by ESP spa & salon software. Debbie has been in the industry since 1982 and by following her passion for health, wellness and beauty started Camelot International Health & Skin Care Education in 1987 and opened her first Camelot Spa in 1997 � a true spa ambassador. The Spa Humanitarian Award is awarded to a person who by definition is actively concerned in promoting human welfare. The 2013 humanitarian award was awarded to Margaret Hewson � Programme Director for the Look Good, Feel Better Foundation for the past 10 years. The foundation is dedicated to helping women undergoing active cancer treatment overcome the distressing appearance-related side effects of their treatment. It aims to improve their self-esteem, self-confidence and quality of life through beauty workshops that teach them how to make the best of their appearance. The Look Good ... Feel Better programme is offered in 23 countries worldwide. Each country operates independently but shares the same common goal. The Spa Visionary Award is awarded to a pioneer within the Spa Industry. A industry leader who has made truly outstanding contributions to the development of the Spa Industry over the past year and whose ideas have lead to a change or noted improvement in the spa industry. The Spa Visionary Award for 2013 was awarded to Lee Ann Barker from Brands for Change. The "World friendly" Product lines create ethical employment in South Africa, fundraise for result driven conservation, humanitarian & environmental projects whilst supporting community upliftment. Partnering with the SA Spa Association, through the Industry Development Initiative, Brands for Change has created a platform to develop our spa talent and also assist the millions of children who are in need of shoes in South Africa.